As an eCommerce website store owner/administrator, there will come a time where you need the ability to test new content, products and promotions, without affecting your live web store – Magento Enterprise Edition provides the solution. Magento Enterprise Edition is a robust, powerful and flexible eCommerce platform that can scale to support the largest online stores. One of it’s most valuable features, is the Content Staging and Merging tool, which allows you to create, edit, and test new store content on a separate Staging web site. This means that the live version of the store remains unaffected and your customers can continue to browse and shop. In addition to the ability to create a separate staging site, the Magento Enterprise Edition allows you to schedule when these “staged” changes should be published / released to your live store. You can also specify which elements that you want to merge/publish, meaning that you can stagger promotions based on your marketing schedule. This functionality is particularly handy around the holiday season when you may not be (or want to be ) around to release promotions to your store – simply test them in the stage instance, schedule the merge/publish and let Magento take care of the rest. The below screenscast from Magento provides an overview of the Magento Content Staging and Merging functionality. Add a new staging site to your store is a relatively simple process, using the Magento Admin interface. You simply select the site from within your configuration that you would like to duplicate. You can also select specific content areas to duplicate, providing you with additional flexibility. The privacy of your staging site is important and The Magento Enterprise Edition gives you the option to password protect your staging environments. Each staging site will keep a history of all actions so that you can keep track of who did what, when and why. Once you are satisfied with the changes in the stage site and you are ready to publish them to the live site, you can merge to the original site, or choose another Magento website in your installation. Magento allows you to either do a manual merge or schedule the merge to occur automatically at a later date. If you ever need to revert back, you can roll back your entire store, or just the needed elements, to a previous state. 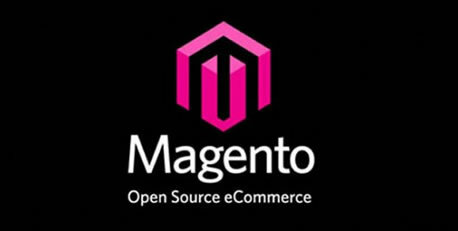 Silver Rocket Digital has experience with the implementation of the Magento platform. If you are considering taking your business online and want to benefit from the endless features Magento can provide, contact Silver Rocket Digital today to discuss your requirements.